© 2012 by Karlee Wiggins; all rights reserved; content may not be copied, rewritten, or republished without written permission. The bathroom is one of the most important rooms in the house, which is partly why they need to be renovated so often. They are often the first things ripped out of old houses by new buyers. Conversely, they can also be a great selling point for homes on the market if theyre in great shape, updated, and modern. Either way, it is important to know what to look for and what options are available to you for bathroom updates. Bathroom trends are always changing. Before a renovation there are many factors to take into consideration: budget, size, fixtures, and special features, but knowing what the latest trends are, is one of the most important. Doing your research ahead of time can make a huge difference when taking on a big project like a bathroom remodel. The last thing you want to say is, I wish Id known about that, after your remodel is completed. It seems like a luxury, but dont you deserve it? Sure, you can put a pair of socks on to warm your feet at night but you cant wear socks in the shower. This technology has made great advancements in the last few years. 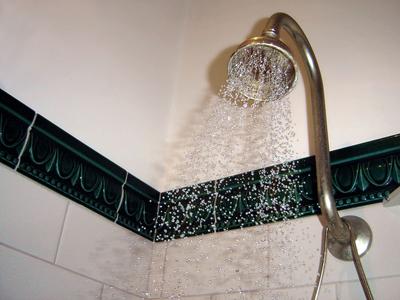 Contractors know how to install it, and it can be done with minimum fuss. As far as actual usage, its convenient and easy. You can set a timer so it will start warming up before you need it and automatically shut off when you are finished. Surprisingly, they only minimally affect your electric bill. A Urinal in the Home? Having a home urinal is probably not an obvious choice but there are actually many benefits to them. First of all, they are easier to clean than a toilet. Because there are fewer hidden and moving parts than a toilet, there arent as many crevices for debris to hide. What you see is what you get. Secondly, youll save on your water bill. Lastly, the urinal separates the ladies from the men, and allows them to do their business in a way that eliminates a lot of clean-up. Ladies, on the other hand, have the toilet all to themselves, most of the time. Its pretty simple math: one less person using the toilet. Therefore, the toilet stays much cleaner for a much longer time. And that old why cant you learn to put the seat down issue is minimized; ah, domestic harmony. Aside from looking really awesome, rain showers feel amazing. The water comes from directly above so the feeling mimics real rain-fall. The result is a tranquil, relaxing sensation like a warm afternoon rainfall. 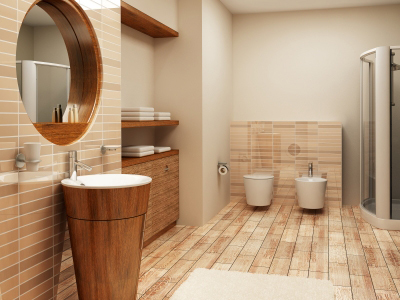 Do you have any bathroom renovation experiences or tips? Please share them with our readers in the comment section below. Karlee Wiggins blogs about design and do it yourself projects. In her spare time she enjoys riding her bike and running.